1 ) NHS – does an amazing job and has looked after two families close to us over the past weeks, as well as H this morning. Thankful for a health service that is free and accessible. 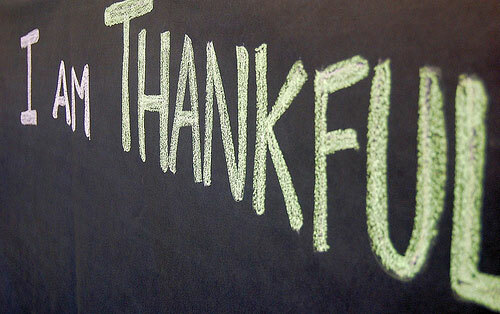 2 ) Friends – thankful for the many friends we have in our lives. 3 ) New Pupils – some days I just love teaching and especially when I get the opportunity to teach someone new. I still enjoy the first look of a pupil who realises they are actually playing the guitar. 5 ) Foodbank – great people doing an amazing work – if you live in Eastbourne please visit here. Alternatively you may like to visit the Trussell Trust who pioneer the work. 6 ) Winter Night Shelter – not only thankful for the work of the Eastbourne branch, but starting to hear great stories from around the country of similar projects that are up and running. 7 ) Life Group – Thankful for the family that we meet with once a week, to celebrate life, pray and learn to follow Jesus. 8 ) Church Leaders – Thankful for those who step up and follow God’s calling. Very grateful for their leading and their encouragement. 10 ) Communion – this Sunday was our monthly reflection, remembering and responding to the cross. I am always thankful to spend time as a church celebrating the communion meal and all that it represents. 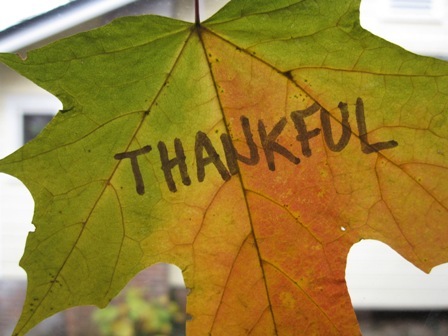 Now over to you, what are you thankful for today? Two posts on one day? 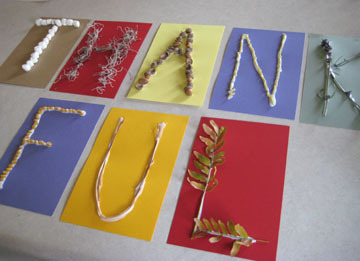 Two things I will be continuing in 2012 will be blogging and staying thankful. A great time with Team Blunders, no major illnesses, fun times and quality time with family. Thankful for the work that I do and returning to work today. Christmas has been a great opportunity for spending time with some of our closest friends, looking forward to more meals and more time with friends in 2012. Mrs B and I were given a Slow Cooker for Christmas – already well up and running with soups, meat joints, spag bol and an awesome beef and Guinness pie. Looking forward to more! We have been saving for a while and managed to grab ourselves some superb bargains for the lounge. I am loving my ‘reading’ chair and we have a three seater sofa on order. So, if you come and visit you’ll now have somewhere a little more comfortable to slit. I used to hate New Year, never really sure why. But, this one was great. Great company and great laughs as we watched Big Ben ring in the New Year. Really looking forward to 2012 and all that God will do in it! I love a new project and this year promises some great opportunities to grow, learn and develop new skills and I’m looking forward to it. I love the YouVersion app. Mrs B and I have undertaken this year to read the Bible together, we are going to use a wide selection of the reading plans and see how we get on. I’m sure the stuff we read will pop up in one or two blogs throughout the year. We’ve been continuing to hear great stories from these projects over the Christmas period. We’re both thankful for their work and we’re both looking forward to being more involved with them in future months. 1 ) Crazy DIY challenge of removal of woodchip and repainting walls in 48hrs pretty much done. 2 ) Repaired a broken chair. I know this doesn’t sound like much – but a little task that has been on the to-do list for a while. 3 ) Loving reading Proverbs at the moment – great wisdom. 4 ) Van Halen’s 1984 Album. Such great guitar work and a great soundtrack for fixing chairs. 5 ) Roof over our heads. With our associated work with our local night shelter and foodbank we are increasingly thankful for a place to call home. 9 ) Winning a Coffee Machine at a Christmas Party Raffle.Tis the simple things. 10 ) Prayer. That it makes a difference and is an amazing thing. Feel free to let me know some of the things you’re thankful for in the comment section. Grace and Peace and be thankful! 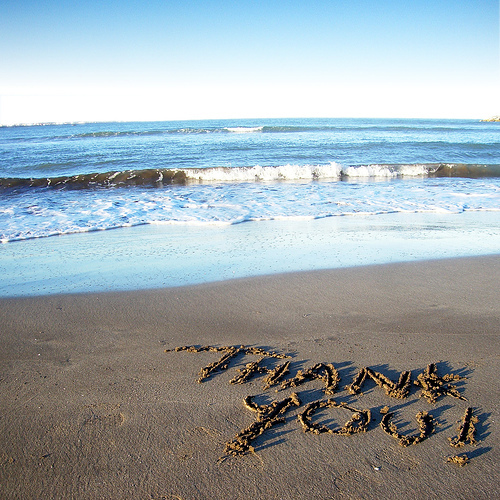 I have undertaken a new twitter rhythm (you can read more about it here) and Tuesday is thankfulness. This is inspired in part by the blogging on thankfulness by Sharon Roberts and Tuesday thanks on Becca Dean’s blog. Over the past few years I have grown more and more excited about Advent and this year I have been reading a prayer book entitled – “Come thou long expected Jesus” which uses some of the hymns of Charles Wesley and advent scriptures. Thankful for the great hymns and for Paul Wesley Chilcote for writing the book. Love being part of family and I love the group of peeps we do life with. On one level it is a sad day today as we say goodbye to one particular family as they follow God’s lead. But, we’re looking forward to blessing them. We are very thankful for their contribution, fellowship and friendship over the last few years. The Eastbourne Winter Night Shelter starts on Thursday. Thankful that people have followed the Holy Spirit’s prompting and have started this project. May God over answer our prayers for this work. Amazing project that has supported well over 600 people in Eastbourne so far, with an emergency three day food supply. Great people doing an amazing job. I love our tree. Thankful for the spring, summer and autumn colours it has given us. I know its a bit weird but I do miss it during the winter. We love music in our house, if it is not on somewhere, someone (usually Mrs Blunders) will be singing. I love the creativity, the inspiration, the emotion and the call for a response that encompass music. I love that God designed these relatively few musical notes and then let us loose with them. I love this program, great end to a day! Thankful for humour. I have been thinking and thankful recently about those who have influenced and mentored us over the past few years. Mrs B and I are especially thankful for Dave and Sharon Roberts for their influence, encouragement and friendship. Love Mrs B and love my boys! Very thankful for them all! Both help the working day go down! Hope you have a great day, may you stay thankful and if you haven’t already please join us on #3goodthings this evening on Twitter. From time to time I’m going to share a few links from projects that are learning to follow Jesus and his words. Just recently I had a great conversation with a church leader about the role and work of the Eastbourne Foodbank project. It is a greatly needed project that needs support, donations and prayers. Some of the statistics are very sobering, especially as a parent about children and how many are living below the poverty line here in Eastbourne. Check it out and see how you might get involved.